Syntax errors are detected as you type. They are indicated in the vertical bars of the editor (right - for the visible code, left - for the full file). If you keep the mouse over the marker on the left you'll see more details about the error. Same tooltip will appear if you keep the mouse over the marker on the editor right bar. You can also click on the marker to jump to the error. 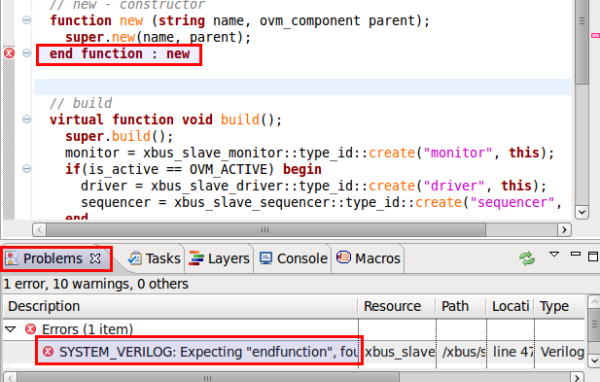 You can use the Problems View to inspect the errors. You can show the Problems View from menu Window > Show View > Other... > General > Problems. Double clicking on some error will jump to the source location.